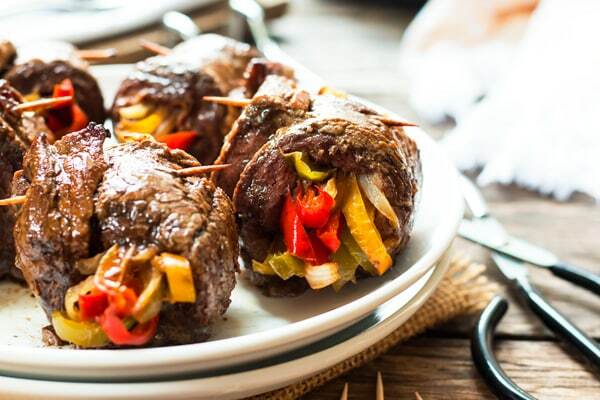 A healthy, gluten free dinner recipe for veggie and flank steak roll-ups. 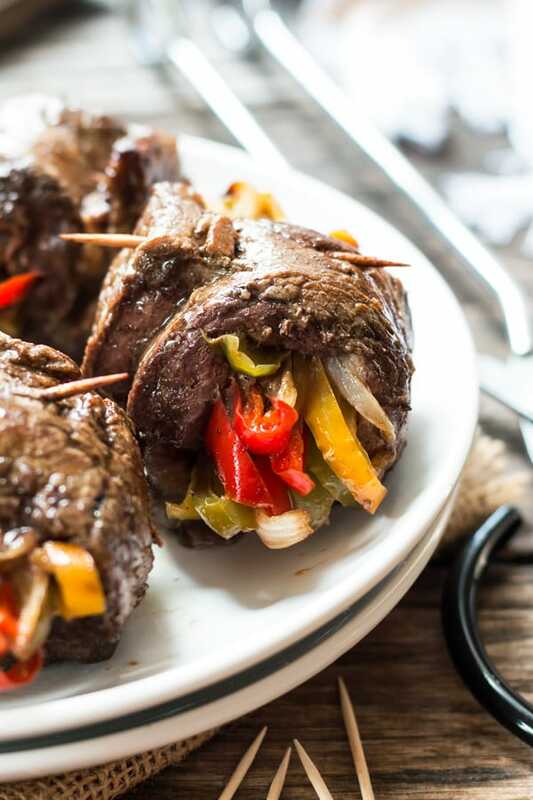 Cook these low-carb and Paleo steak roll-ups in a skillet or fire up the grill! The recipe index… this is located at the very top of your screen and is your place to go for finding recipes. There is a search bar at the top of the index where you can search by keywords. Or, you can go into any category (i.e. breakfast, dinner, desserts, etc.) and browse as you wish. Conveniently located social icons… These can be found at the top right of every screen. This way you can stay in touch via whatever social media avenue you wish! Not on the site yet, but soon to come… A featured slideshow on the homepage that will display all of the seasonal recipes you can find on the site. 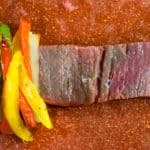 If you have not yet experimented with flank steak, now is your time to try! It comes in a relatively thin slice and is very easy to work with. 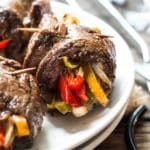 You can either slice it against the grain and make some of this Copycat Mongolian Beef, or cut it into 2-inch slices and make these roll-ups. The meat is already relatively tender, but pounding it out a bit more makes the rolls even easier to prepare. Make sure to only cook the veggies until crisp-tender because they will continue cooking while inside the steak. Serve with your side dish of choice and enjoy! Drizzle 1-2 T. olive oil on a baking sheet and spread peppers and onions out evenly. Sprinkle with salt and pepper. Bake vegetables for 10-12 minutes, or until crisp-tender. Make sure not to cook them all of the way. Bring all ingredients to a boil in a medium-sized saucepan. Reduce heat and simmer for 4-5 minutes, uncovered. Remove from heat and set aside. In a large skillet drizzle an additional 1-2 T. olive oil in the skillet. Sear rolls on all four sides for at least 1-2 minutes, totaling about 8 minutes. 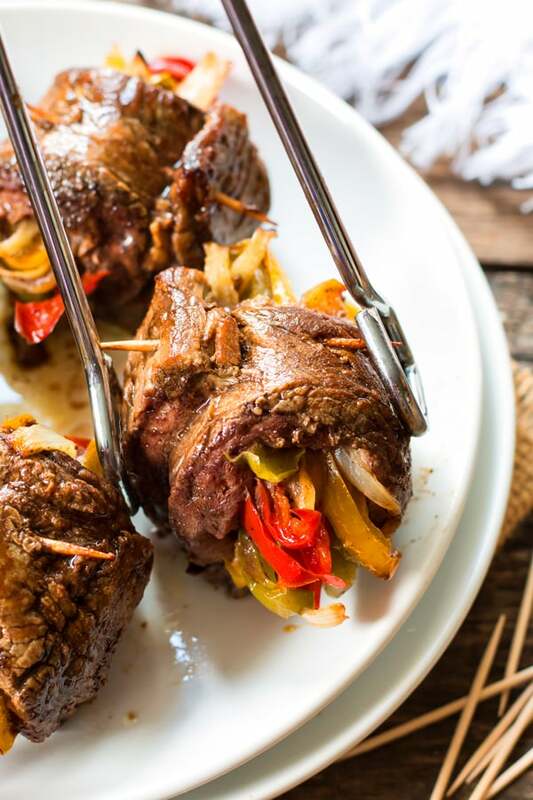 Place seared steak rolls in a baking dish and cover with the balsamic glaze. Serve with side dish of choice and enjoy! You can also use coconut liquid aminos in place of the soy sauce. 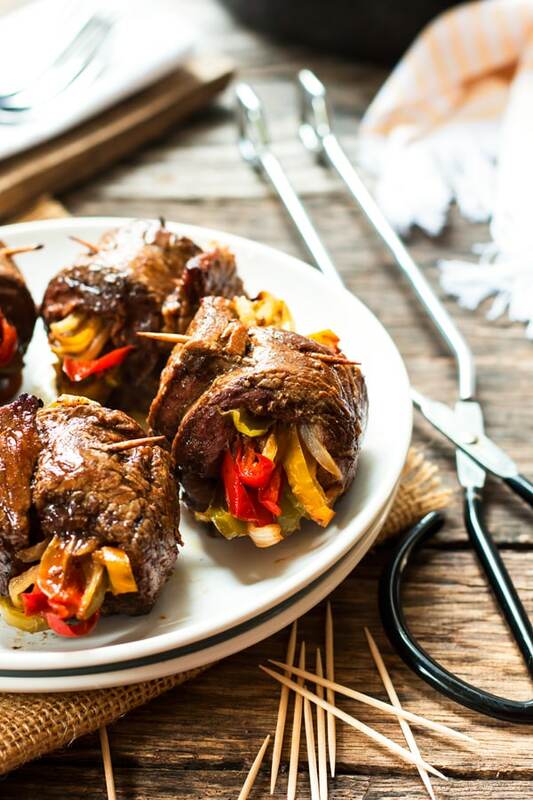 Want more recipes like these Balsamic-Glazed Veggie Flank Steak Roll-Ups? Can you clarify: is it 335 calories per 1 roll up or 335 calories per 4 roll ups? Hi Tiffany! It’s actually 335 calories for 4 oz. of meat… so 1.5 rolls per person. If you just want the calories for 1 roll, it will be 223 calories/roll!